Living in Ontario, there are many of us who are avid travellers and it’s quite common to head for the warm sun in Florida. I’ve been travelling to Florida since I was a child and had NO idea that I’d been missing out on a bit of paradise in Florida’s Emerald Coast! Seriously folks this is a GEM…one that hadn’t made it to my radar of must-sees…and oh it is! With the sugar-white sand and the emerald-green water it is one of the most beautiful places I’ve ever been! 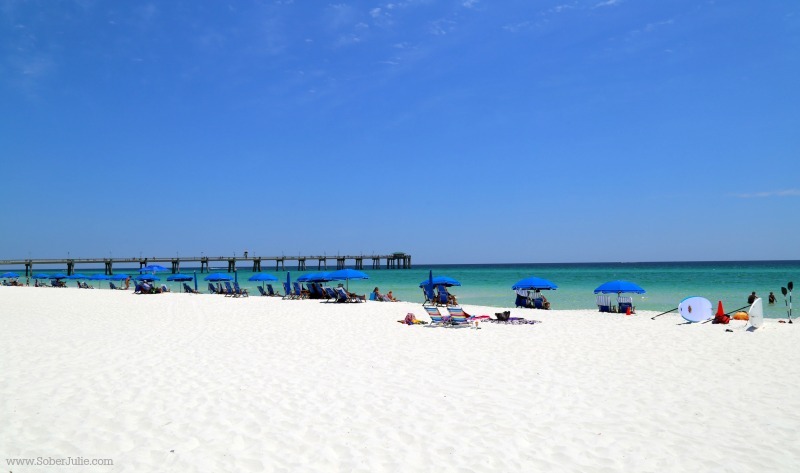 I spent 4 days in The Emerald Coast which is made up of 3 areas; Destin, Ft. Walton Beach and Ookaloosa Island. The charm of the area grabbed my heart from the get-go. These seaside towns had a quaint feel that pulls you in and goes far beyond any expectations you have. 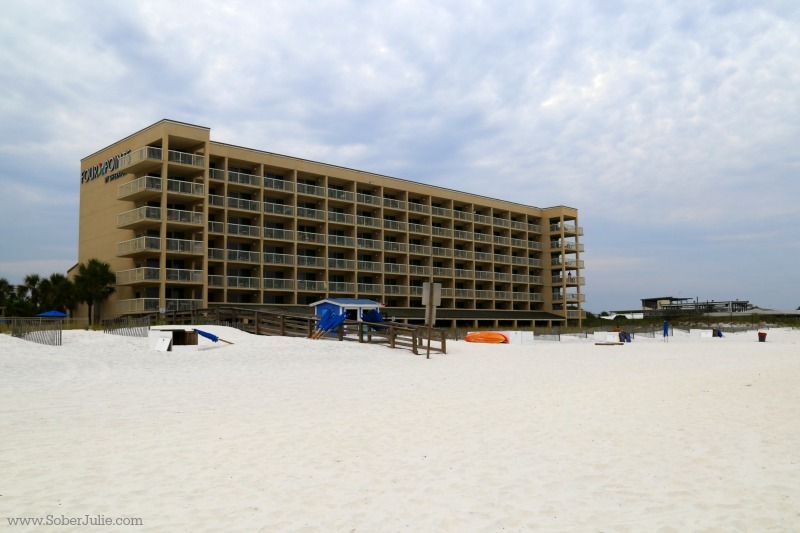 I stayed at the Four Points Sheraton in Ft. Walton Beach which is hands-down one of the best hotels I’ve ever stayed in. It’s located right on the beach and is perfect for a family. With a pool, a kids splash pad, a gated hot tub area and two bar and grill’s this hotel has plenty to do. Look at that!! The sand is indeed sugar-white and it squeaks as you walk on it near the water. There are chair/umbrella rentals right on the beach and you can also rent water equipment such as paddle boards. 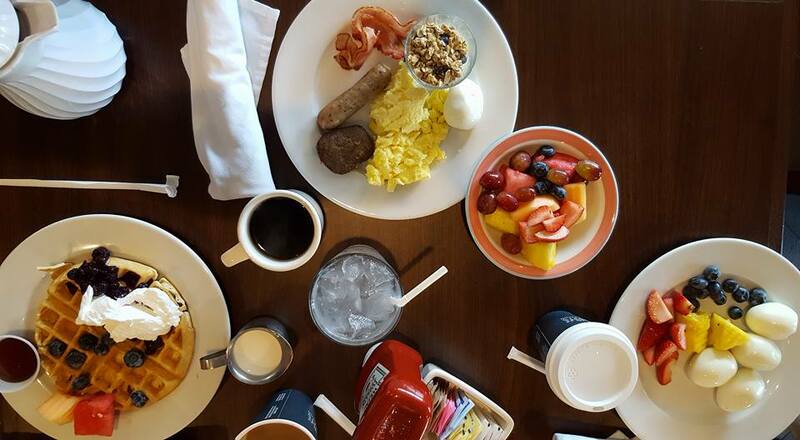 Take some time to enjoy the food while at the hotel…it’s delicious! The room I stayed in was overlooking the beach…watch this video to see it! 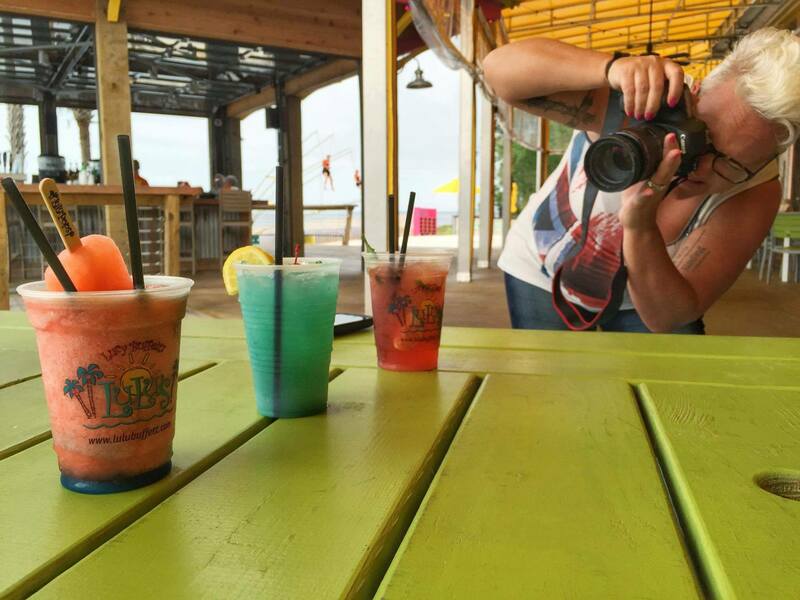 When in the Emerald Coast, you have to stop in at Rockin Tacos Grill for dinner. 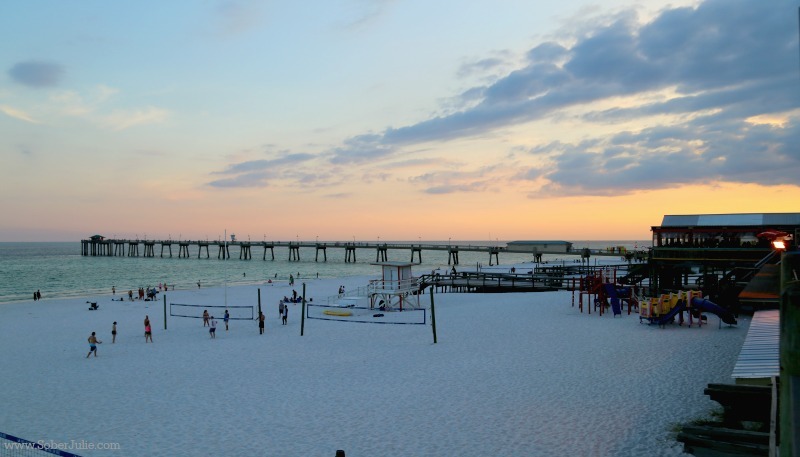 Located right on the boardwalk on Okaloosa Island the views at sunset are stunning! 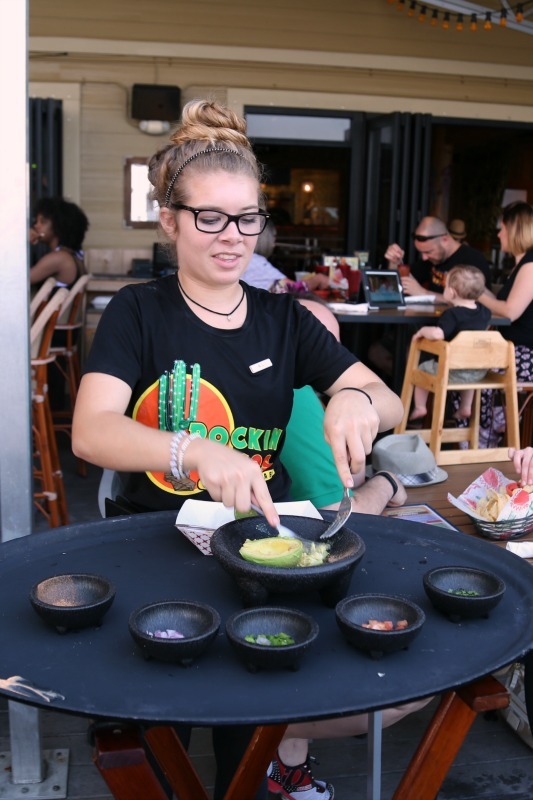 We jumped on the chance to have table-side guacamole! It was fun to watch the waitress prepare it…thankful that she put up with cameras in her face! 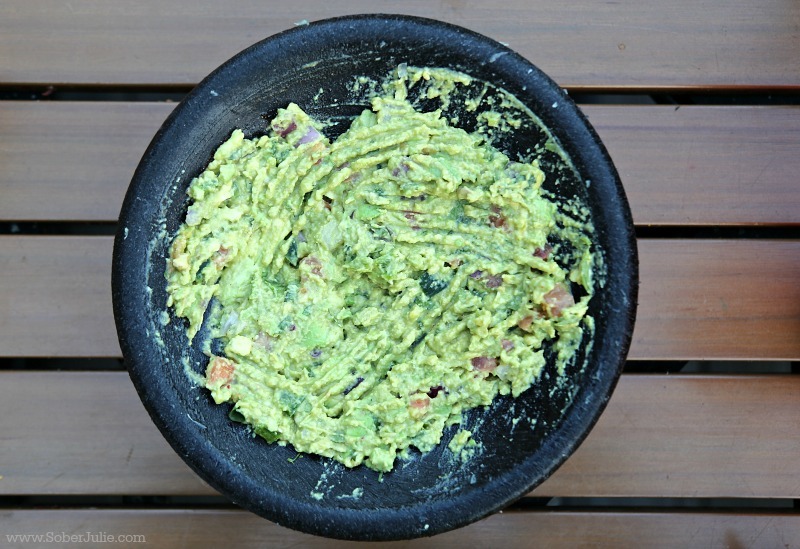 The guacamole was divine! 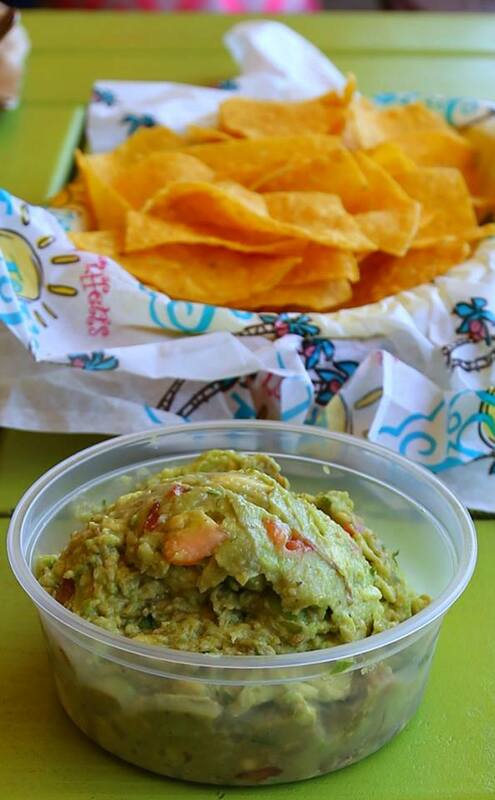 Fresh and perfect for the setting…you’ve got to try it. 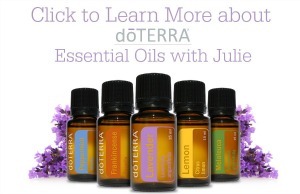 Looking to try something different? 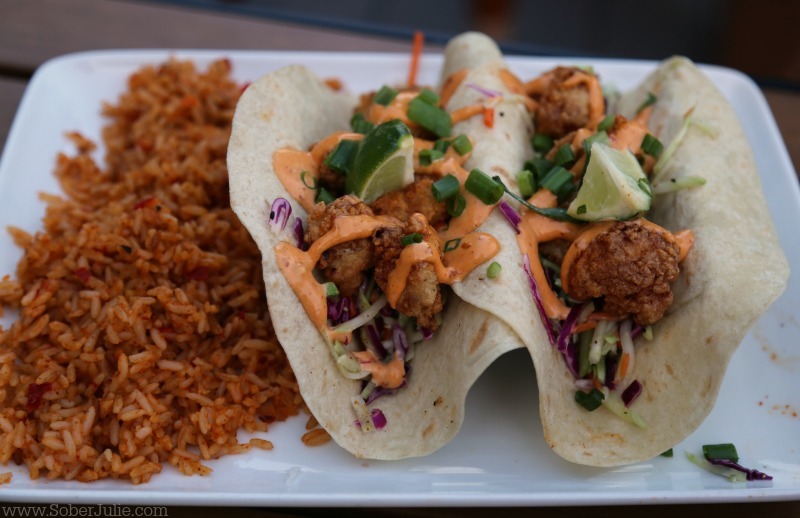 Stacey of ThisLilPiglet.net tried some gator tacos…BRAVE girl. She said they were delicious. 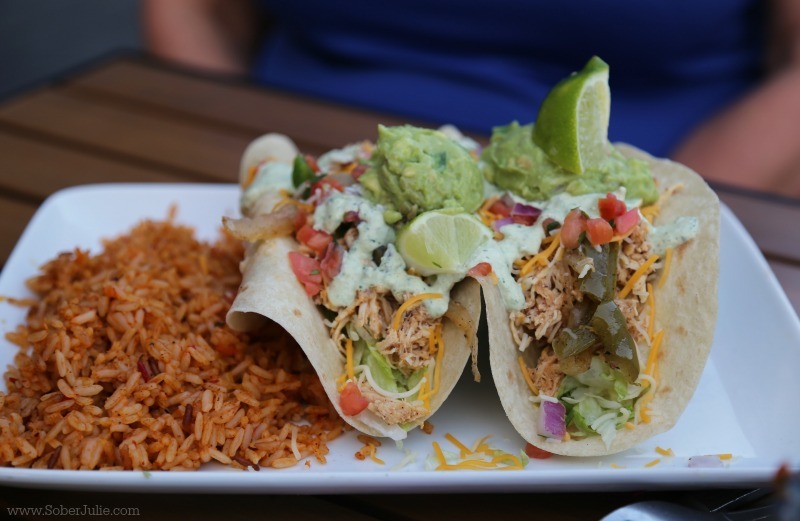 The fish tacos were a hit at our table…overall this place is worth visiting to get some fresh, delicious food in a fun environment. 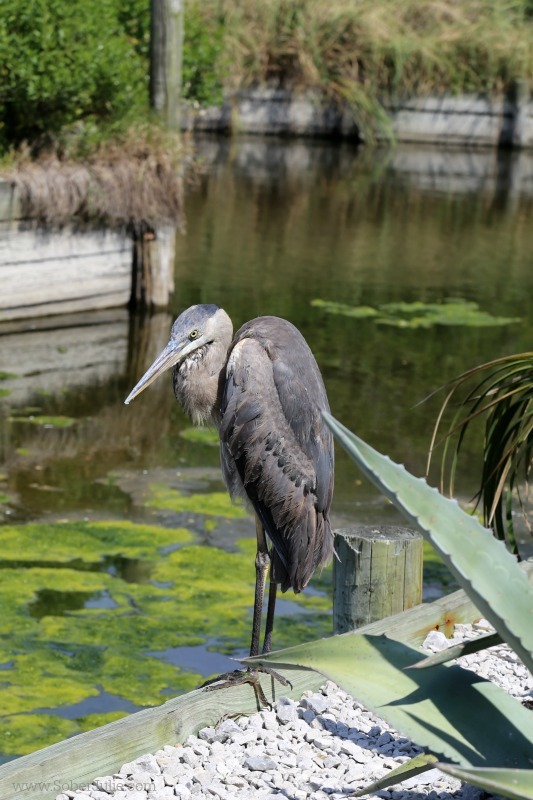 The Gulfarium Marine Adventure Park is a fabulous way to spend the day as a family. 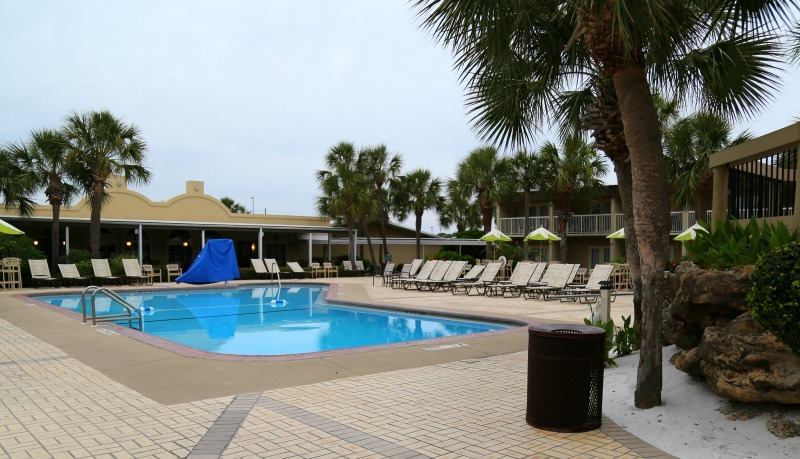 They’re located right next to the Four Points Sheraton in Fort Walton Beach and offer many activities through the day. With endless animal encounter opportunities, dolphin and sea-lion shows, daily animal chats, and amazing exhibits to view, your visit will be filled with fun and adventure! View hours and schedule here. Throughout the facility there are opportunities for learning. 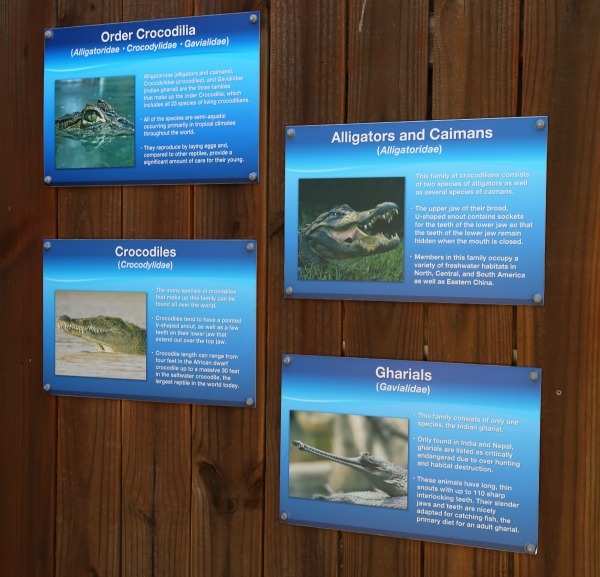 You will find facts about the marine life and get to know them along the way. 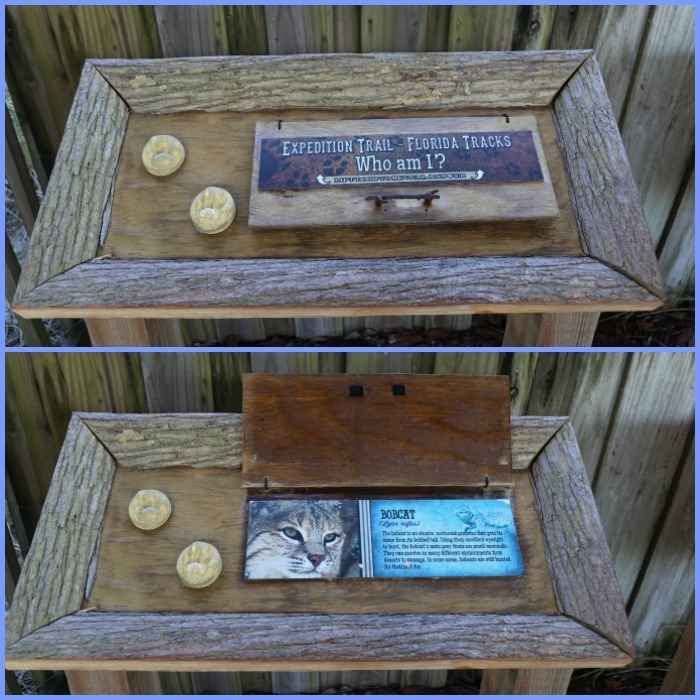 How cute is this…it teaches children about the tracks an animal makes. We truly enjoyed our day at the Gulfarium, it’s also a fantastic choice if you have a rainy day because so many of the areas are covered. You can easily spend a full day here because there’s so much to do and see! 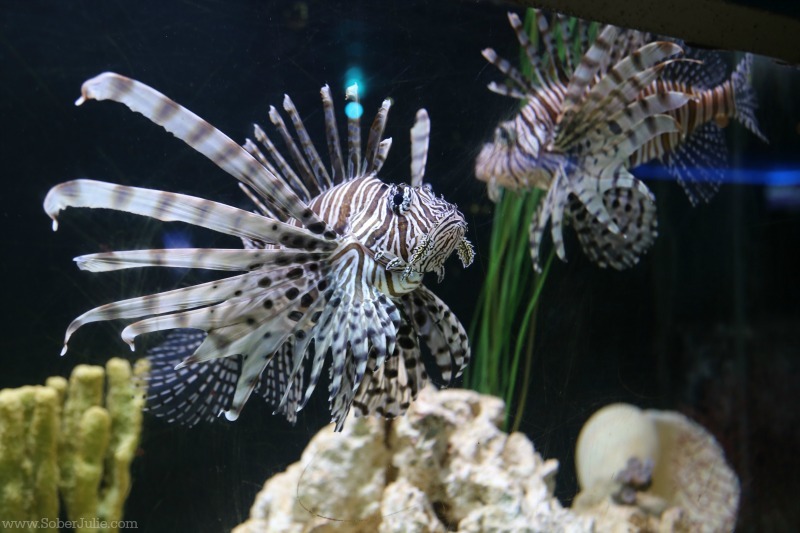 How gorgeous is this Lion Fish? I’d never heard of it until our visit and now it’s my fav! With their their venomous fin rays, an uncommon feature among marine fish in the East Coast coral reefs. The potency of their venom makes them excellent predators and venomous to fishermen and divers. 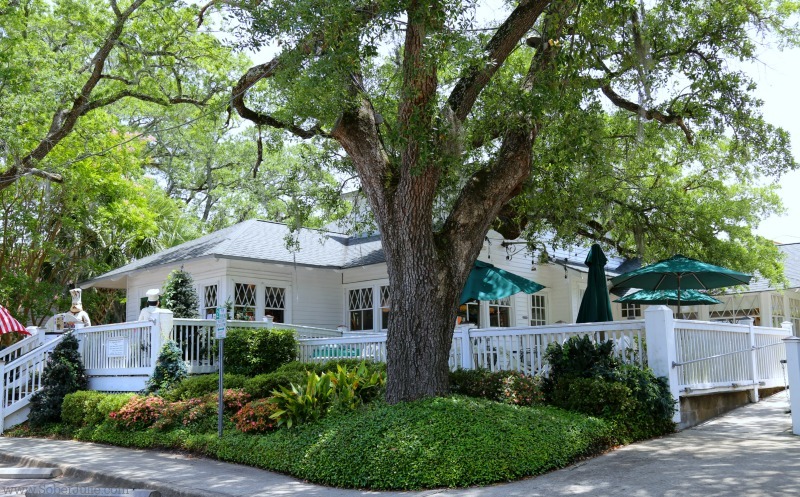 We had the pleasure of heading to the Magnolia Grill to enjoy lunch while in Fort Walton Beach. 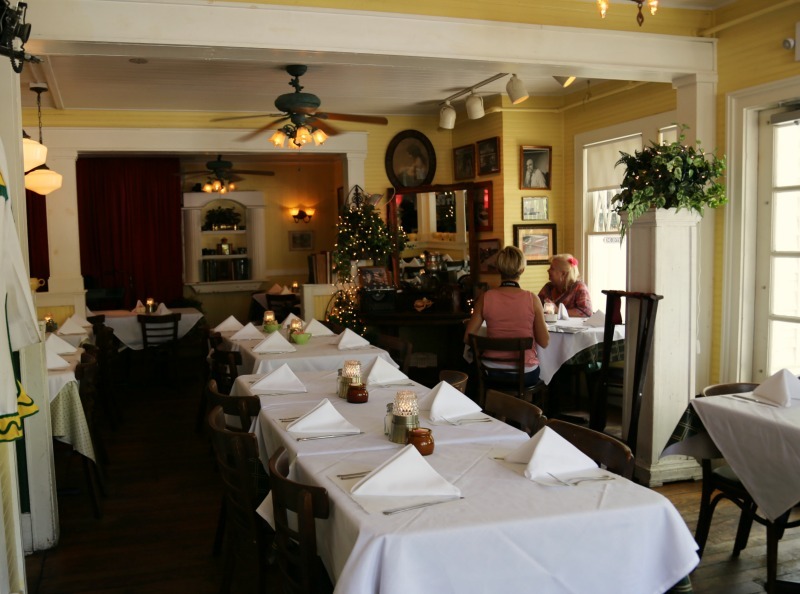 This restaurant epitomizes the heart of the down-home whimsical charm which is felt everywhere in Fort Walton Beach. 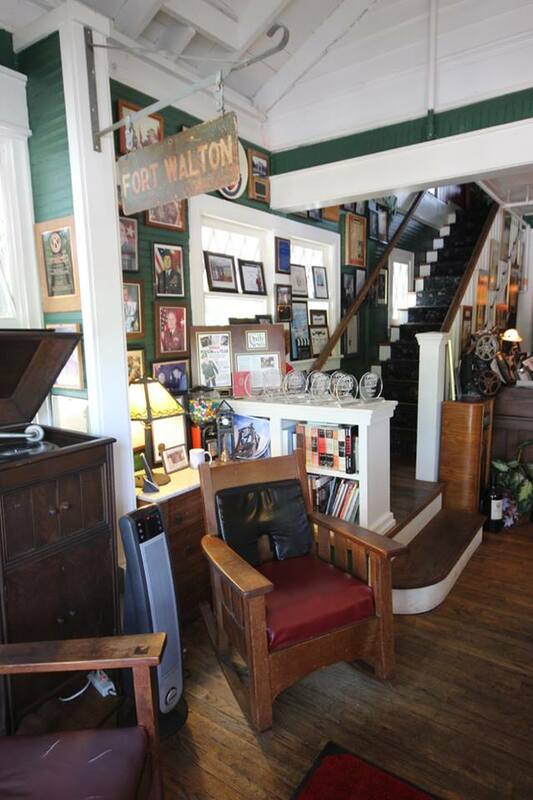 This 1910 “catalogue” house has been home to many and today it’s filled with evidence of the history of Fort Walton. 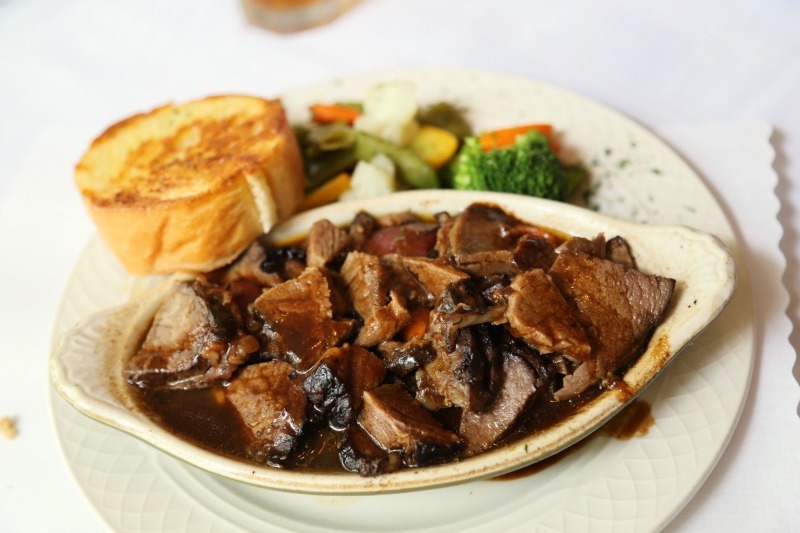 Proud owners Tom and Peggy Rice can be found serving up delicious food while retelling the stories of the past with a passion which can’t be contrived. 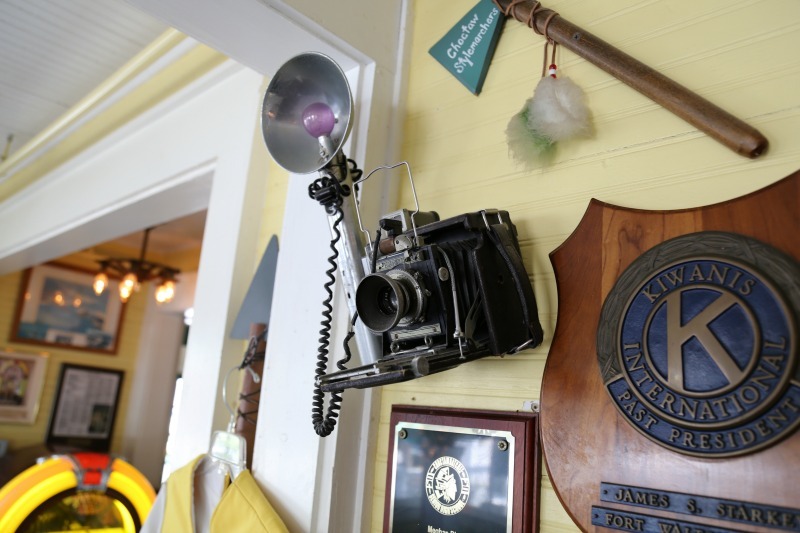 Inside you’ll be greeted by historical memorabilia, each of which has a story that Tom is happy to tell. The food was over-the top good. 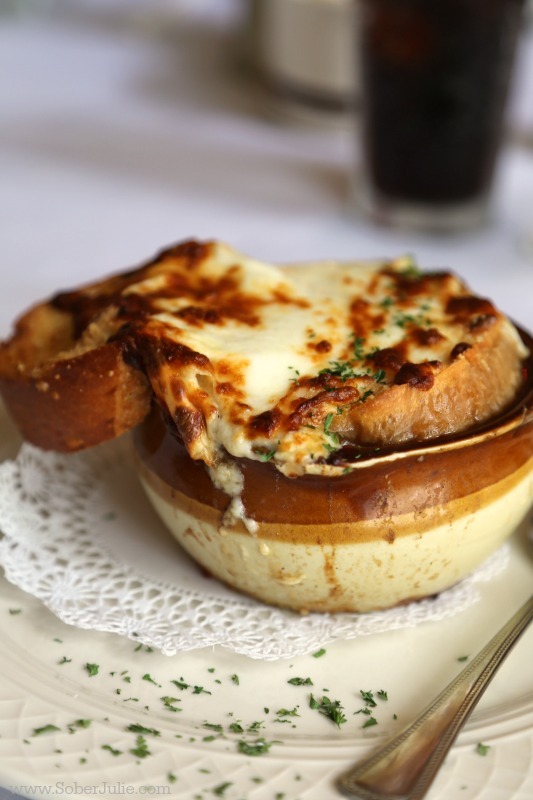 We enjoyed French Onion Soup, award-winning Gumbo, salad, pot roast and of course dessert. 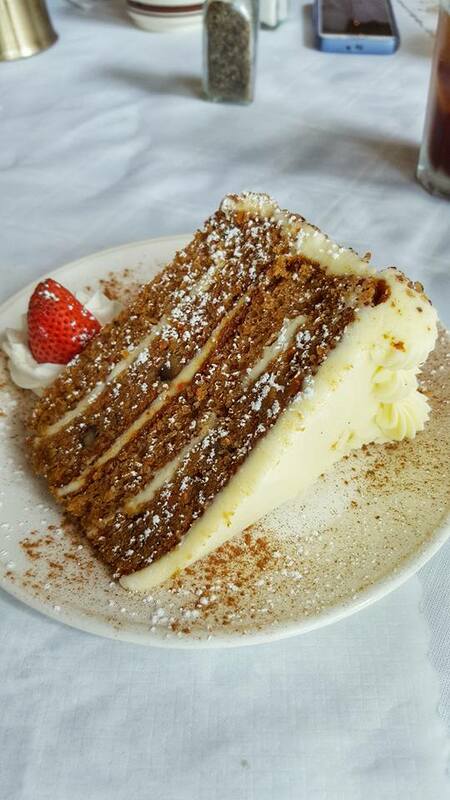 If you have the chance, stop into the Magnolia Grill and enjoy the food surrounded by history. 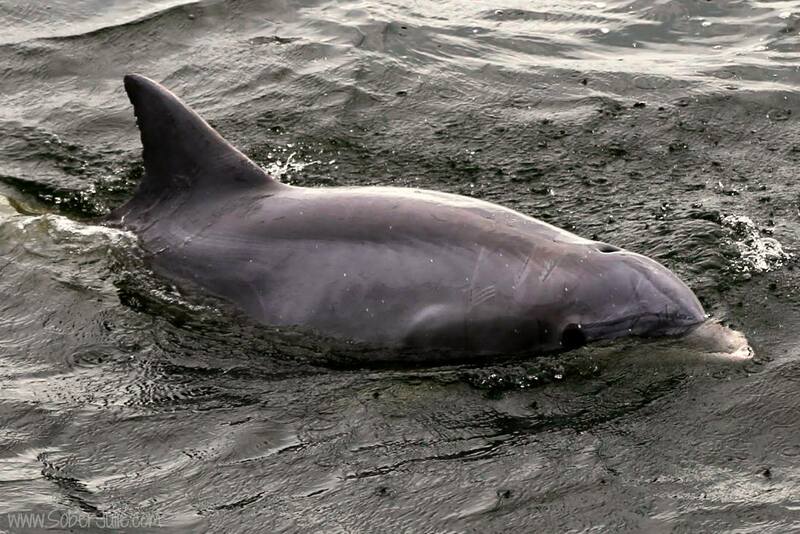 One of the highlights of our trip was going to Southern Star Dolphin Cruise where I set off for a cruise to try to see dolphins with Sherry Rushing from the local tourism board and my friend Stacey from ThisLilPiglet.net. 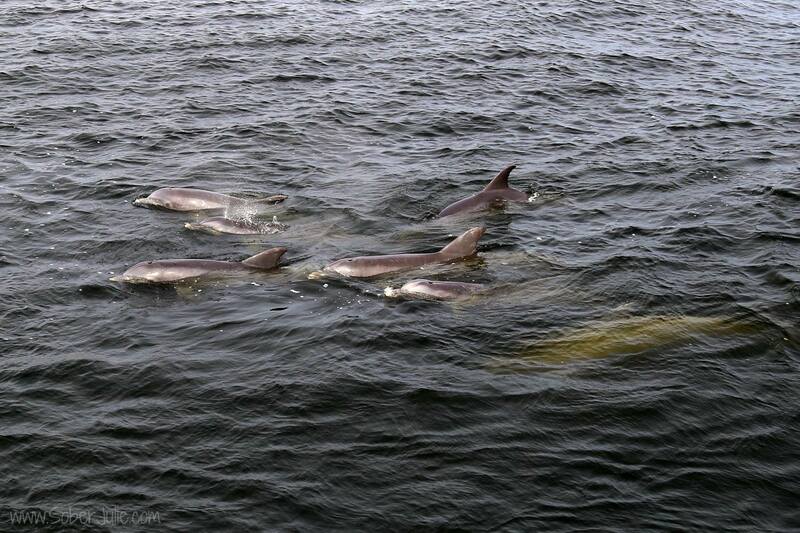 As we left the bay we had one playing right along side the bow and as soon as we neared the neck of the gulf we came upon a pod that played for almost an hour! Whew what an amazing sight it was…my heart was racing and my face hurt from smiling. The boat itself was great, there’s food to purchase and the staff is super informative with lots of information about the area and the marine life. 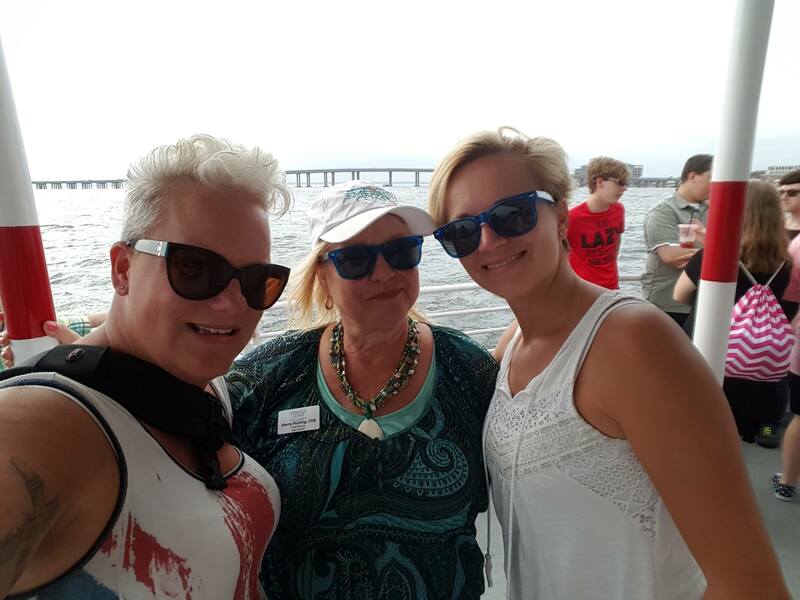 After our dolphin cruise, Sherry brought us to LuLu’s in Destin to enjoy some relaxation right on the water. LuLu’s is AMAZING!! This place is super cool with so much to see and do. I’m probably going to gush here friends because I fell right in love with the place. I so wish my kids had been with me…they’d dig it as much as I do. 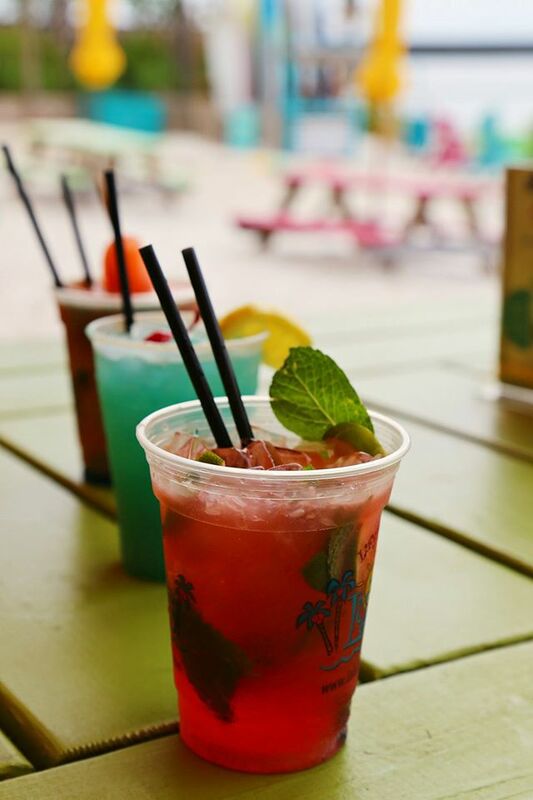 LuLu’s is the brain-child of Lucy Buffett who happens to be the sister of famed Jimmy Buffet. It seems he wasn’t the only one blessed with talent in the family because the food at LuLu’s is famous in its own right. 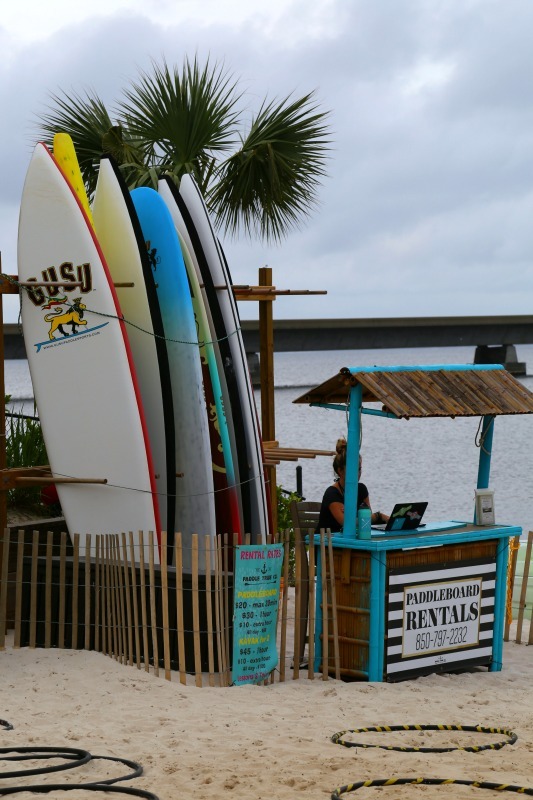 The atmosphere is wonderful; the energy is high with live music, a few to the water, a sandy beach to play on and paddle board rentals on hand there’s something for everyone. Here is the rest of our food. 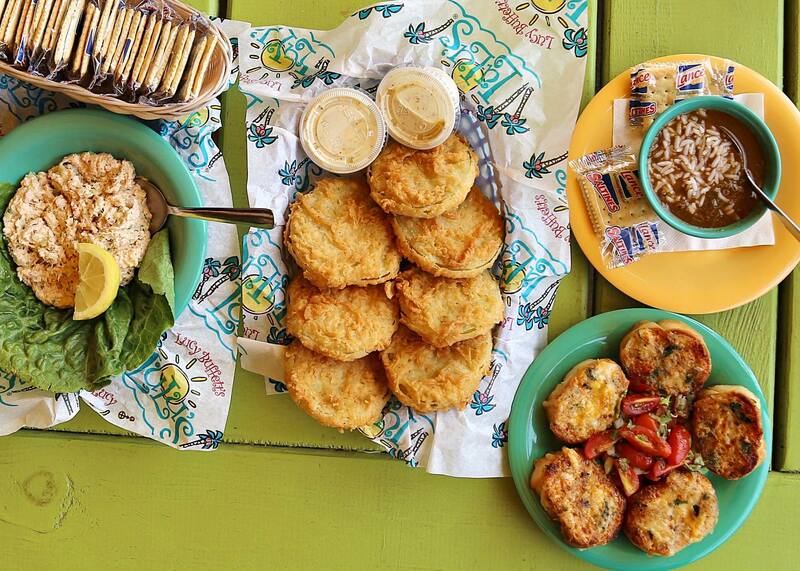 Tuna salad, fried green tomatoes, gumbo and crab cakes….gosh it was delicious! LuLu’s was a blast…I hope to visit again and one day have one local. 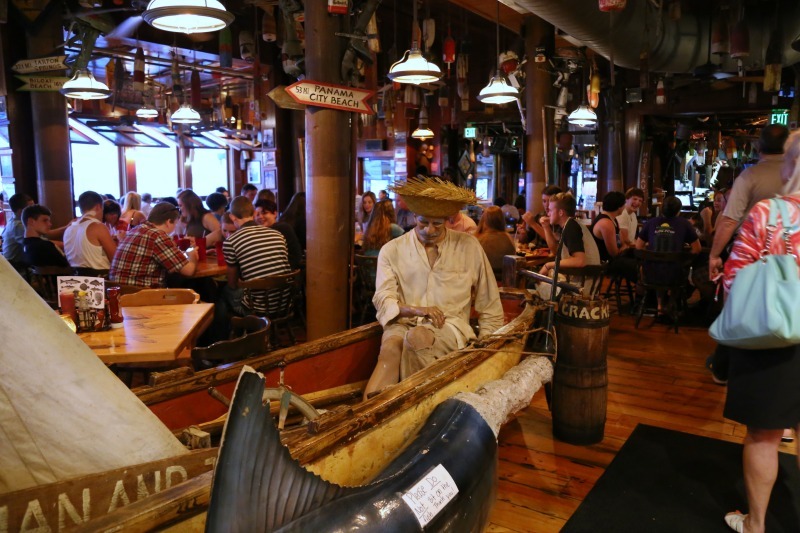 We had the pleasure of dining at AJ’S Seafood & Oyster Bar and what a dynamic place it is! 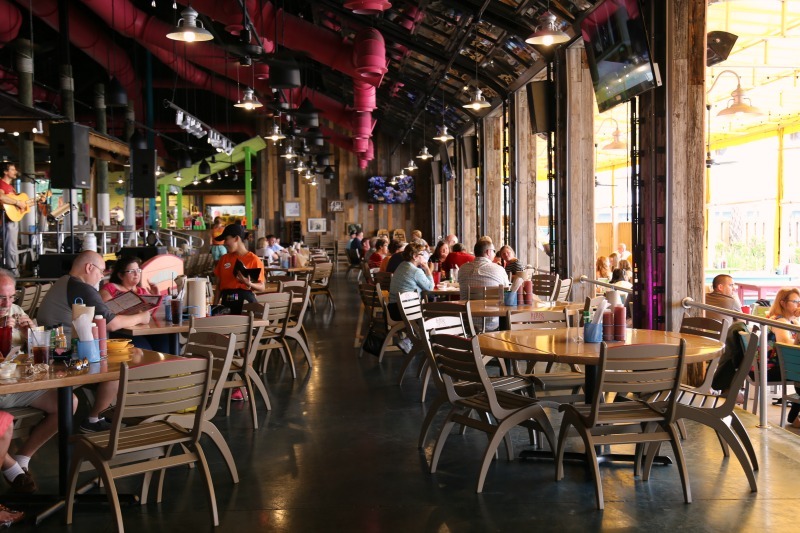 This isn’t just a restaurant with delicious food…get your senses ready to experience the boardwalk and all that AJ’S has to offer! 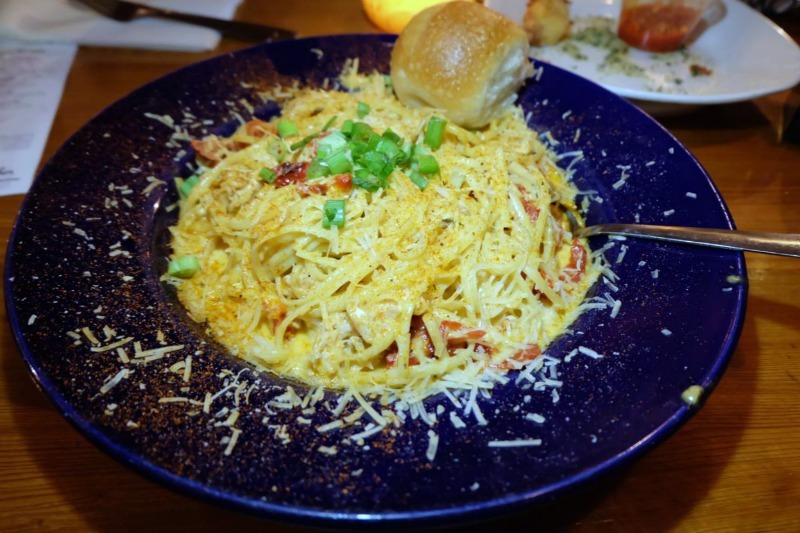 The seafood is over-the-top delicious and don’t worry if you have someone who isn’t into seafood…there’s plenty of other dishes to choose from. There’s plenty of food to choose on the menu, my favourite was this pasta dish that I think I could eat every day. 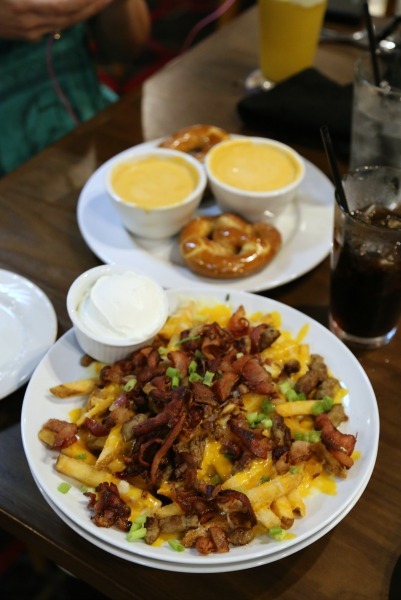 AJ’s isn’t just a restaurant…you can eat, shop and play at AJ’s. It’s the home of AJ’s SeaQuest, and the beautiful Daniel Webster Clements Sailboat. 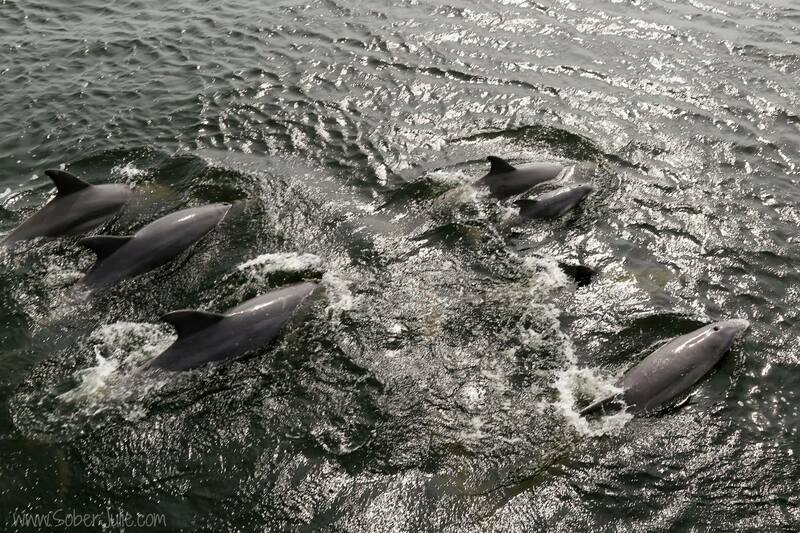 These adventure boats are packed full of dolphin- loving,sun-loving fun. 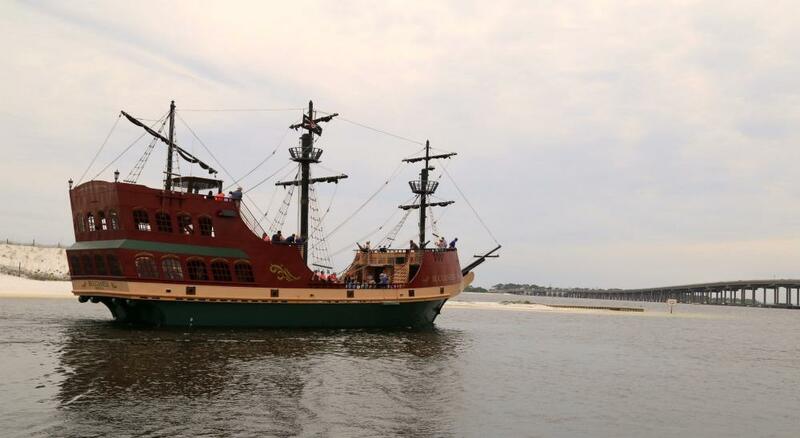 If you’re looking for an exciting adventure on the water or a relaxing sunset cruise, AJ’s is the right place! 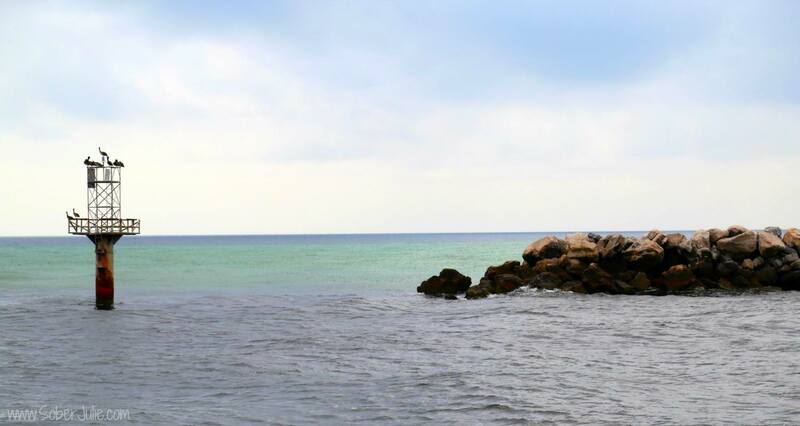 Visting Florida’s Emerald Coast far exceeded my expectations. The area is simply beautiful, with lots for families to do while travelling on vacation. Frankly it was the Southern Charm of the people which has left me with the longing to return. The people were beyond friendly, helping us to learn more about the area and generally just welcoming us wherever we went. Thank you to Visit Florida for inviting me to tour the area, although this post is sponsored all opinions are my own. 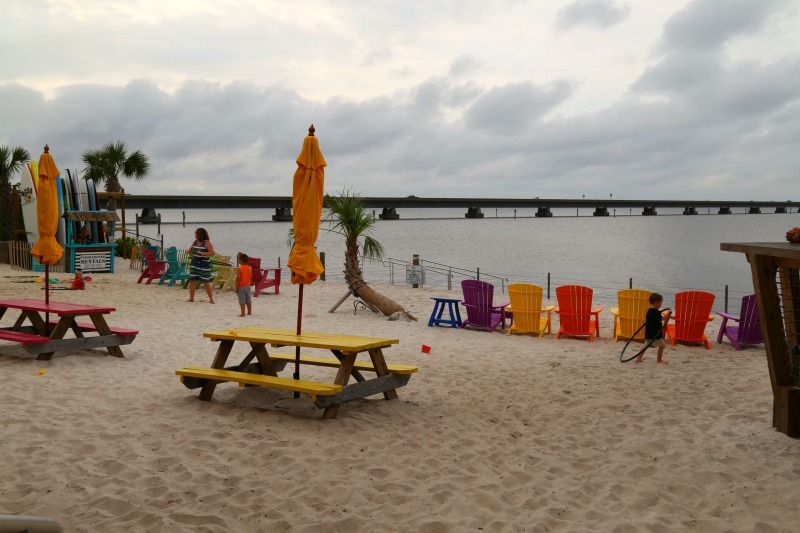 You did an awesome job of showcasing the Destin – Fort Walton Beach – Okaloosa Island area. It was my please to be your host during your tour. I am so glad you enjoyed our beautiful slice of paradise! This was an excellent tourist guide to many of the sites on the Emerald Coast. I haven’t been to that area since I was a child and was traveling with my parents to visit relatives. I think you had a lot more fun than we did. I’ve eaten gator meat before. It’s not bad, but it can be tough if not properly tenderized. It’s best in spicy dishes. I’ve visited Flordia a lot of times, but have never been there. It’s absolutely beautiful! It seems like the perfect place to take a family vacay. Oh my goodness the food looks so delish as well! I hope my husband and I have the opportunity to do a driving tour of Florida one day. It’s so beautiful there. I am so jealous that you got to go there! I am packing myself in your bag if you ever go back there LOL. I would’ve loved to seen those Dolphins and explore this area! That water looks absolutely gorgeous. It looks like you had a great time. 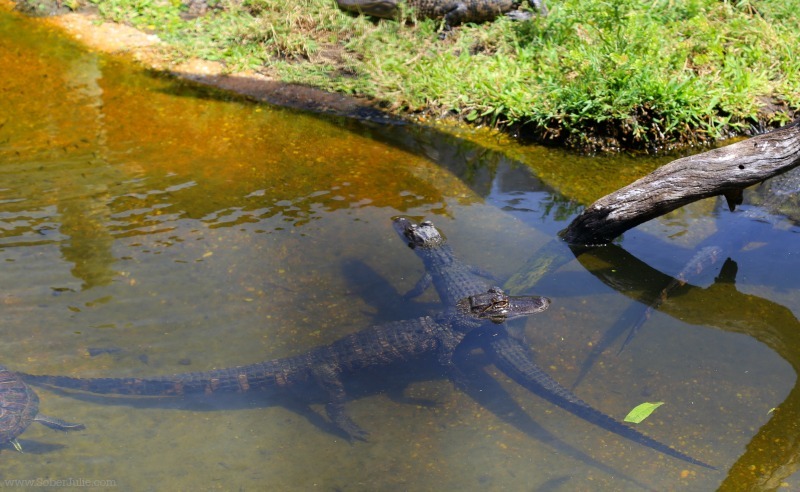 I love visiting Florida, I would love those gator tacos. The emerald coast looks amazing! I can’t believe I’ve never heard of this area before. I’m definitely putting this on our list to check out next time we are in Florida. Wow! Everything looks amazing! I absolutely adore Florida! 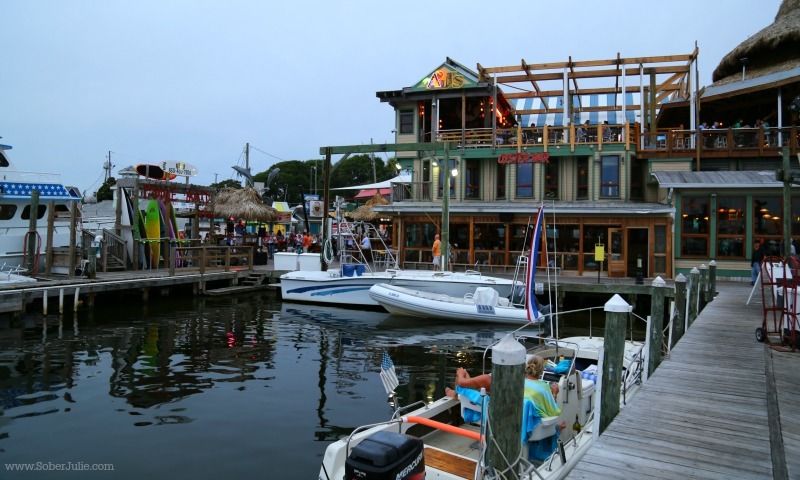 Looks like Emerald Coast has delicious food, fun activities, and amazing scenery. This looks like a great place to getaway and get some relaxation! 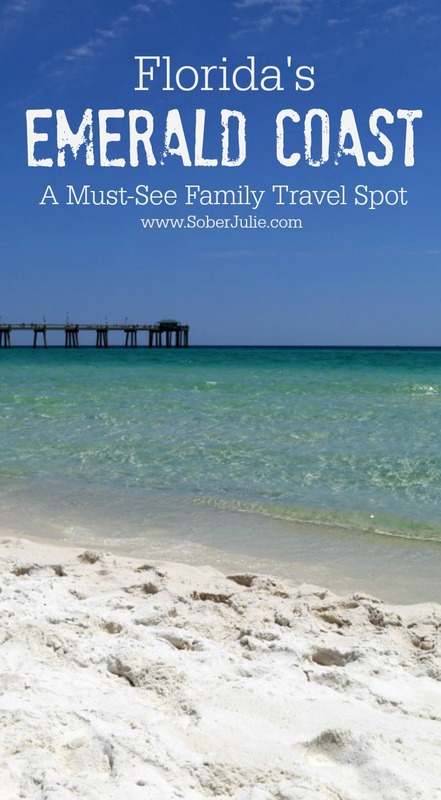 Florida’s Emerald Coast is lovely! You did a wonderful job of making me feel as if I have been there. I definitely want to visit it in person one of these days – soon! Stunning photos of the wildlife and cuisine, too. I’m salivating for those awesome tacos! Those pictures are amazing, I love the food ones especially. That one with the three drinks was really cool! 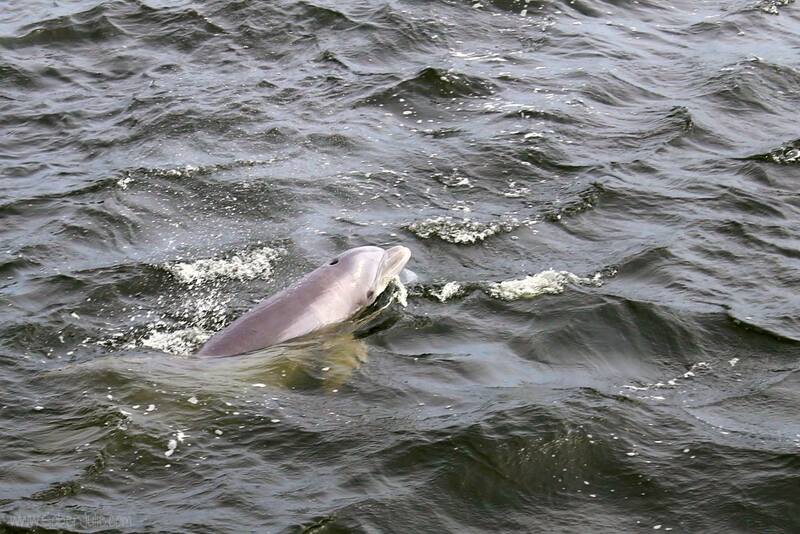 That one of dolphins was so cute too. Florida looks beautiful. i cant wait to see that clear blue ocean formyself! The Emerald Coast is such a magical area of Florida. I love the gorgeous water and the spectacular geography. Nothing beats a good beach and the Emerald Coast looks beautiful. I am sure the seafood was insanely fresh too. Everything about this place looks amazing!! I would love to go to Florida again and visit the coast and relax again. This looks an amazing location and that food….! Planning my teen daughter’s first trip to the beach this summer and i will have to check out this location. We have been looking for a new area to go to in Florida and this looks like a great option. We need to make a trip up there. I’ve lived in Fl all my life, but never visited that area. I would love to go explore The Emerald Coast. It looks so beautiful there. I love going to Florida for a winter getaway. I am planning a trip to Florida this winter. I will have to add The Emerald Coast to my trip itinerary. Everything looks so amazing there! All that food looks so yummy! I have never even been to Florida before. I was hoping to be able to go with my family sometime. I think this would be the perfect place to go. Now that looks like a great way to spend some time relaxing! I would really enjoy that dolphin cruise. It looks like fun. The beaches are so pretty too. Wish I were there now! Aww, it looks so pretty there. Love the pretty blue beaches. The food however is making me very hungry right about now. This does look like heaven on earth. I would love to travel to Florida myself! It was so nice to see the place, the food and the animals through your beautiful photos.